Aplia Econ Blog: News for Economics Students: The Right Incentives? The State of Florida just announced a new pay-for-performance program that ties teacher salary raises and bonuses to students' standardized test scores (the first such fully state-backed program). Proponents argue that subjecting American schools to competitive forces will encourage good teaching and higher quality schools. Florida governor Jeb Bush says a system that rewards teachers for improving student performance makes more sense than a system where higher pay is tied solely to academic degrees and years of experience. Teacher unions and other opponents argue that the pay-for-performance program will fail Florida's students because test scores represent only part of teacher and student achievement. Additionally, teachers work with students of different abilities, making it difficult to fairly evaluate teachers who teach primarily lower-ability students. Standardized tests, they argue, do not measure the intangibles that teachers provide and adding a profit motive may skew the teacher-student relationship. Remember, people respond to incentives. Steven D. Levitt and Stephen J. Dubner’s best-selling book Freakonomics explores how incentives can get knocked out of whack … even in education. Chapter 1 explores several scenarios (including teachers, sumo wrestlers, bagel sellers, and daycare centers) in which otherwise honest people find subtle ways of cheating because of the incentives they face. In one example, Dubner and Levitt investigate Chicago school teachers that face an economic incentive (sanctions for them or their schools) to improve student performance. They find that some teachers (about 5% in the Chicago sample) cheat by changing their students' answers. Understanding the incentives people face helps shed light upon their subsequent behavior. 1. 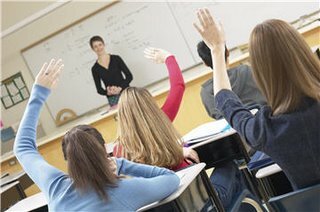 According to the article, what is the salary supplement teachers receive if they fall in the top 10% of their teaching classification? How much does it amount to for a teacher earning the average Florida salary? 2. Might the incentives in Florida's pay-for-performance program foster the type of cheating Leviit and Dubner found in Chicago? Do you think this plan is a good idea? 3. In Chicago, teachers and schools faced a disincentive to poor student performance--they were punished if students did poorly. In Florida, teachers face an incentive to improve student performance--they get a cash bonus when students do well, but they don't get punished for sub-par performance. Will the positive incentive Florida teachers face encourage more honest behavior? 4. Many shareholder rights advocates suggest that tying executive compensation to the company’s performance is wise because it aligns the executives’ incentives with shareholders. How might this incentive structure create undesirable results?